Handling, Transporting And Using Medical Waste Containers. 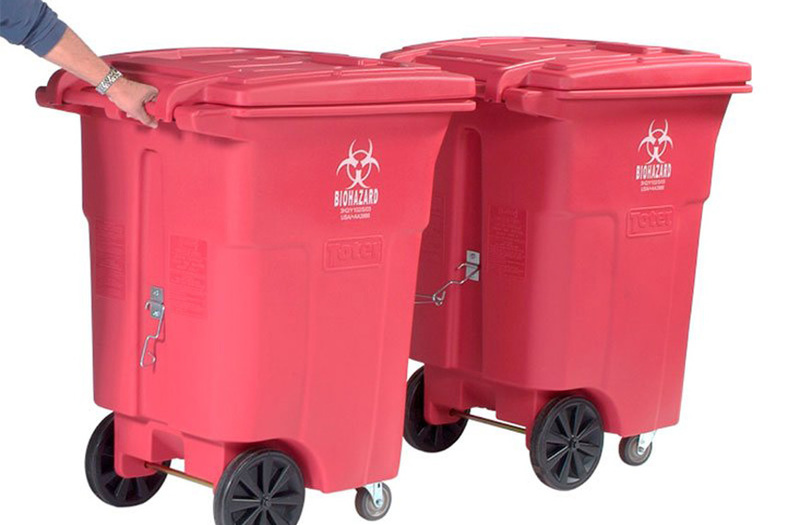 You’re perhaps familiar with the containers that collect medical waste, such as red bags, sharps containers, and biohazardous receptacles. If you visited a doctor’s office, hospital, or other facility that deals with hazardous waste you deal with wastes. Medical waste is dealt with according to precise laws and regulations to prevent the spread of infection and to protect the environment from contamination. Specialists are not taking out with the regular trash at the end of the day. Once medical waste is discarded in its proper container we must handle and transport in accordance with the law not only for compliance reasons. This is important for health and safety reasons. Keep It Safe. Keep It Sealed. Open containers spell catastrophe for staff and patients. This increases the risk for the spread of potentially infectious disease. Make sure red bags, sharps containers and other medical waste containers aren’t overfilled. Keep Everything Labeled And Color Coded. Just as sharps containers are rigid and puncture proof and are affixed with the proper label. Red bags are red for a reason. This alarms staff and waste haulers to the contents, and also potential contagions within the medical waste container. Check with local and federal regulations on what labels and colored containers you have to practice to be sure compliance and safety. Never mix medical waste. Keep red bag waste in red bags, sharps in sharps containers and other hazardous waste in the correct containers. Don’t Transport The Medical Waste Containers On Your Own! As this waste disposal is closely monitored and regulated in most states medical waste must be collected by a licensed medical waste hauler. The waste must be preserved and rendered harmless before it can be recycled or thrown away. We take care of your disposal to maintain compliance, mitigate risk, and keep communities safe. Contact us for medical waste disposal San Diego and other SoCal Areas today!